(There may be a slight mismatch between the figures reported here for companies and the figures in our previous article, because the data is taken from different sources within LinkedIn). We hope you found a lot of useful information in the previous section – Six IIM Alumni Report 2014 Part One. We now delve deeper into individual companies in various sectors and domains to find which B school is dominant in which company, domain and industry. We start with FMCG, Technology, E-commerce and Telecom firms. 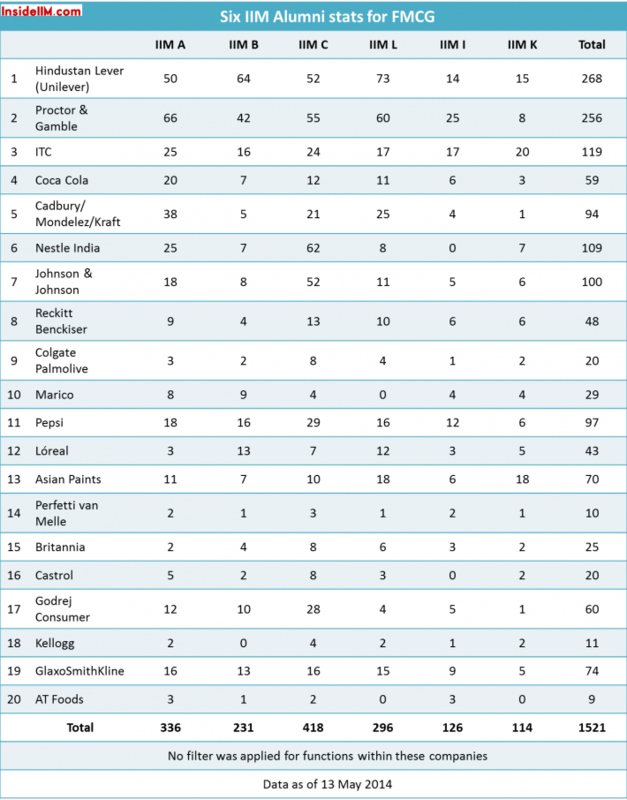 Unlike some of its more glamourous cousins (investment banking and consulting), FMCG is an evergreen industry. Global investment banks came with a big bang in the early part of last decade, and vanished after 2008. Consulting firms are still going strong, but you never know when their clients will grow wise to the fact that their advisers are not just emperors of knowledge, but in fact, emperors without clothes. FMCG, on the other hand, seems poised for a stable and steady future. Unlike their brethren in consulting and investment banking, these companies actually produce tangible products. We have also grouped together technology, telecom and e-commerce in a set for this report, because all three are recently established industries in India. We have taken 20 companies which are the most popular recruiters on campuses. NO FILTERING was done for functions in the company, the numbers below include alumni in Sales & Marketing, Operations, IT, Corporate Finance, HR and other domains. Disclaimer : All of this is user generated data. We cannot vouch for 100% accuracy. But it gives a very clear trend. The numbers below include professionals who could have done short courses at the IIMs. The numbers below do not include most Class of 2014 graduates as they have not started work/not updated their LinkedIn profiles yet. – It is clear that IIM Lucknow is more or less on par with IIM A, B and C as far as FMCG roles go. There are some cases where IIM L has more numbers in an FMCG company than IIM A, B and C.
– IIM I and IIM K still have some way to go before reaching the level of the other IIMs. ITC seems to be one company that is hiring almost uniformly across all campuses (i.e., if you want to join ITC, you’ll get a decent shot from any of the six IIMs). To a lesser extent, P&G and HUL also seem to have broad-based their hiring, although the roles offered may be different. – IIM A seems to have a distinct advantage when it comes to hiring for Cadbury, and to a certain extent, Coca Cola. We turn our attention to sunrise sectors of the economy. Rock star technology and e-commerce names will increasingly dominate placement reports from now on. Electronics and Telecom companies are always important and hiring numbers are steady as they are for FMCG and General Management roles. We have listed 15 companies to be analyzed. Again, NO FILTERING was done for functions in the company, the numbers below include alumni in Sales & Marketing, Operations, IT, Corporate Finance, HR, Others. And, this is user-generated data. We cannot vouch for 100% accuracy. Numbers include professionals who have done short courses. They do not include Class of 2014 grads as they would not have started work/their profiles would not yet have been updated. Disclaimer : It is user generated data. We cannot vouch for 100% accuracy. But it gives a very clear trend. The numbers below include professionals who could have done short courses at the IIMs. The numbers below do not include most Class of 2013 graduates as they have not started work/not updated their LinkedIn profiles yet. – Again, the older IIMs have edged out the newer ones when it comes to plum jobs with tech heavyweights like Google, Amazon and Microsoft. 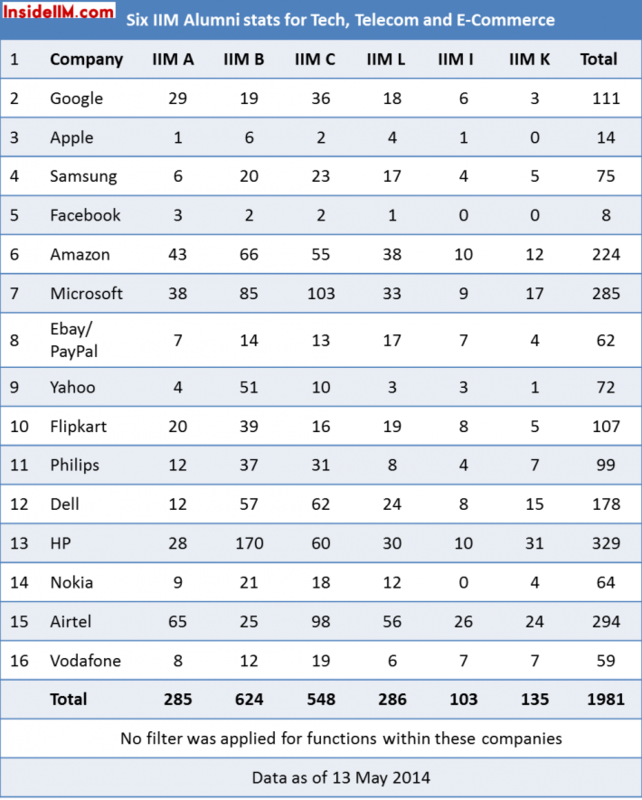 – IIM A and IIM C seem to be dominant in Google, over the other IIMs. – IIM B shows a good performance in hardware tech firms like Dell, HP, Samsung, Philips etc. Yahoo seems to have an almost exclusively IIM Bangalore MBA team. Flipkart and Amazon both have IIM Bangalore as the largest MBA grad contributor. – Microsoft seems to have a special thing for IIM C. So does Bharti Airtel. 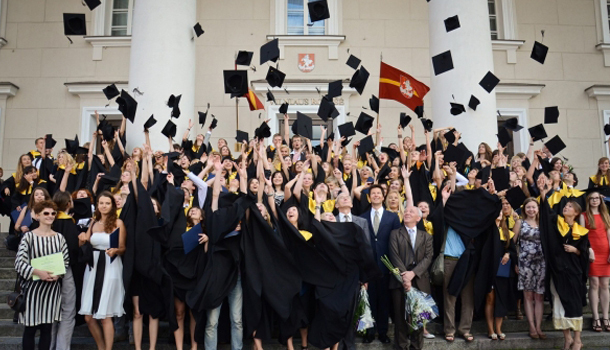 Read the Alumni report for 2013 here. Read the Alumni report for 2012 here. Read the entire series for 2012 and 2013 here.